Cards by Rita: Friday Mashup Debut! I'm so excited to announce that I've been asked to join the wonderful design team over at The Friday Mashup! This week Kasey has challenged us to make a girly card, use our favorite technique, or mash it up and use our favorite technique on a girly card! Did you get all that?! :) I decided to go with some girly colors and practice a bit more on my vintage/aging techniques. Be sure to drop by the Mashup! blog and see what all the other lovely designers have created to inspire you this week! Ooh really beautiful Rita! I love all the sponging and the colours. Gorgeous embossing and love that en francais! Just wonderful! This is super Rita! What a perfect debut card! Love the french script and the gorgeous flower! 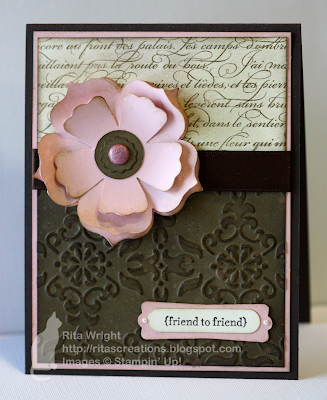 Distressing/vintage works well with this card!! Welcome to the team!!! Yeah!!! This is so pretty, Rita. The french script matched with the embossing is perfect. Very pretty, the brown and pink are a great colour combo. This card is gorgeous! Love the Blushing Bride with Early Espresso and your flower is absolutely perfect (as usual:-))) Congrats on being part of the Friday Mashup team- you go, girl! Rita, I love your card. It all works so well together: the embossing, the sponging, the big beautiful pink flower, the vintage look of it all. Great job and congrats making the Friday Mashup team. Welcome to the Friday Mashup up Team!! This is gorgeous, I love pink with brown or in this case Blush. I really like how you sponged the edges too. So pretty! I love the use of the browns with just a touch of pink and vanilla! 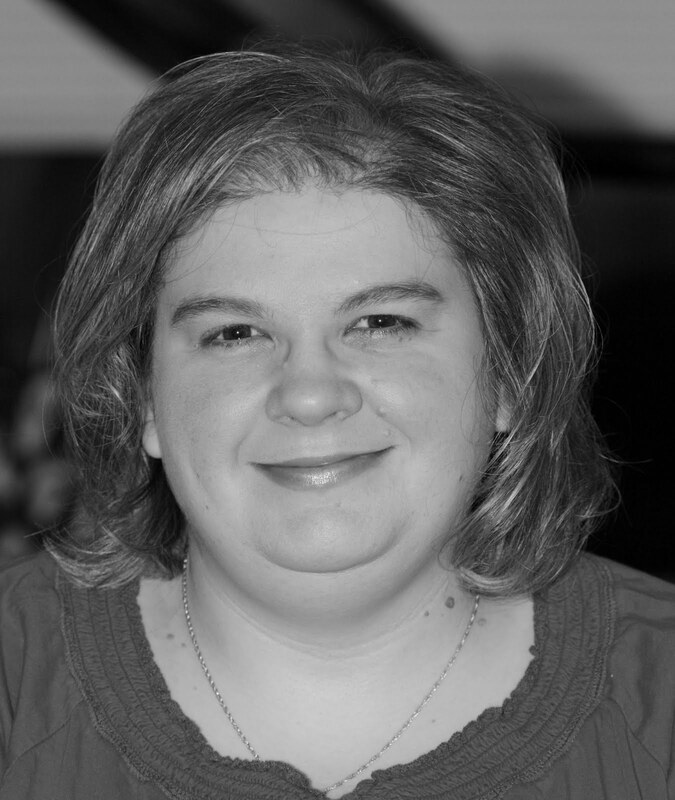 Glad to have you on the FM team!